We just got back from Petra. Next time we will just take you with us to take the photos. Are you a professional? Your pictures are beautiful...and beautifully staged. I wish I had your eye. Thanks, we have enjoyed them very much. I am without words to describe this, but your pictures are just wonderful. 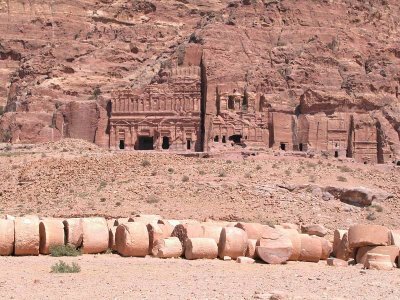 I visit the Holy Land some years ago, but a visit to Petra was not offered on that tour. How I would love to see it! I am just finishing the "Left Behind" series of books, and what a tremendous part Petra plays in the final books of the series. Thank you for this website.